How many times have you said, or thought, that about folks who come alongside you? For me, the answer is many many. But the good thing is - thanking someone enough is NOT my job - or yours. 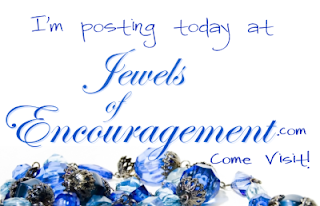 I'm over at Jewels of Encouragement today, talking about just that. Stop by and see what I learned about Credited Gifts!